PRISTINA, Kosovo (AP) — There’s a widespread tradition among many Muslims that it’s better for women to pray at home than in the mosque. But in Kosovo, an old Ottoman-era tradition is bucking that trend, with religious authorities seeking to establish the training of women as spiritual teachers in mosques. Each day, scores of women gather around Agime Sogojeva, a spiritual teacher known as a mualime, in the Haxhi Veseli mosque in Kosovo’s northern town of Mitrovica. They discuss the Quran, their rights as women and daily practices, in a scene unthinkable as little as a decade ago. Sogojeva is one of some 100 female theologians aiming to revive Muslim traditions in Europe’s newest country. They teach at three Muslim high schools, at Muslim centers, or they work voluntarily. The move to establish the religious training of women in mosques — where women are allocated places in a separate room from the men — is seen by some as a way to make Kosovo’s approach to Islam more gender-balanced at a time when many in the West view Islam as oppressive toward women. Although in much of the Muslim world women teach other women, it is more common for that to occur at home or in event halls rather than in the mosques themselves. In some very conservative Islamic societies, women are generally distanced from mosques for social rather than religious reasons. In Kosovo, there has been a significant increase in the number of women attending mosques in the past 20 years, said Besa Ismaili, a 43-year-old professor of English at the Faculty of Islamic Studies in Pristina. Kosovo has a strongly patriarchal society but also a long secular tradition, with religious identity significantly weakened during decades of communist rule. Most of its ethnic Albanian majority population is Muslim, but religious expression was generally lax even after the fall of communism in the late 1980s. The country declared independence from Serbia in 2008, nearly a decade after a 1998-1999 war against Yugoslav forces by ethnic Albanian fighters. Recently, however, it has seen a rise of religiously-inspired violent extremism, with more than 300 Kosovo citizens joining the Islamic State group as foreign fighters in Iraq and Syria since 2012. A quarter of those were women and children, often forced to follow their husbands into the war zone. About 180 Kosovo citizens are still active with extremist groups in Syria and Iraq, and the women are held in camps. But Kosovo authorities claim no citizen has joined a fundamentalist group over the past two years, a development partly attributed to the empowering of women through the creation of female Islamic teachers. “Extreme nationalism becomes less present when Islam is explained to women,” Ismaili says. Funding for about a dozen of the female theologians comes from Turkey’s Directorate of Religious Affairs, or Diyanet, which assists the Islamic Community of Kosovo, or BIK, the country’s executive for Muslims. These female preachers are active members in about 800 mosques countrywide, said Resul Rexhepi, BIK secretary general, modernizing women’s life and increasing their role in society. “Mualime are good for the whole society,” he said. BIK officials claim that the introduction of the female Muslim preachers in the mosques has reduced sexual violence at home, assisted women who were raped during the war, helped mothers with their children’s education and increased the participation of women in voting in elections. There are no official figures to support such claims. 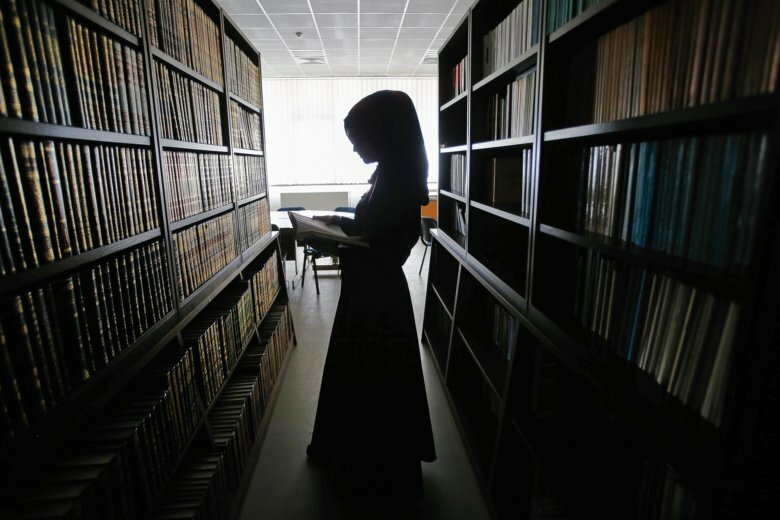 During the past decade or so some 1,100 girls have graduated from three Muslim high schools and 300 women from the Faculty of Islamic Studies. Sarah El Deeb in Beirut and Mohammed Daraghmeh in Ramallah, West Bank, contributed.